According to Statistic Brain, $1.9 billion dollars are spent on flowers for Mother’s Day each year! Of course, flowers are a kind gesture but they aren’t for everyone especially a mom that is all about wellness! Why not show that fit and healthy mom you really care with a thoughtful gift that goes a long way?! If you are still looking for gift inspiration don’t worry below you will find affordable options for mom that will keep her smiling way after May 8th! Soothe provides a professional massage at home. This is ideal for mom’s that just can’t find the time to leave the house or only have an hour to spare. Simply select the type of massage, day,time and Soothe will be there! They offer a variety of massages ranging from prenatal to sports massage. Giving mom all the tools she needs to create a gym at home is ideal for the mom that needs to get her workout in! Telling a fit mom she has no time to workout is not only frustrating but also totally untrue. With the right at home equipment, she can get a killer workout at home. RestoPresto allows the active mom to take her workouts outdoors with comfort. This multifunctional must-have can be used in the backyard for mommy and me yoga or in the park for a little bit of an ab work after your run. Perfect Fitness has a number of professional tools you can use anywhere including outdoors. The Perfect Pushup (retails for $19.95) is a celebrity favorite including in shape mom of 3, Kourtney Kardashian. The Ab Carver (retails for $39.99) will whip anyone’s abs into shape and can easily be incorporated into your regular fitness routine. Create an at-home spa for mom with nothing but the best botanical extracts and organic beauty treatments including face masks, oils, and toners! Farmhouse Fresh has an array of products ranging from face masks to body oils, the best part is that they are all natural. 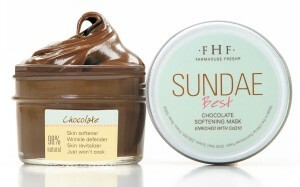 Make it a mommy spa party with the kids and try the Sundae Best Chocolate Softening Mask (retails for $22.00) or the Pajama Paste Mask (retails for $22.00), just make sure the little ones don’t eat it! Complete your facial with a mist of Bulgarian Rose Soothing Toner (retails for $32.00) from PurErb. With additional exotic ingredients like Knotweed extract, Edelweiss stem and Cat’s Ear extract your skin will get a powerful boost of antioxidant properties. Keep your skin from head to toe soft and smelling amazing with the Quinsberry Botanical Body Oil (retails for $18.00). 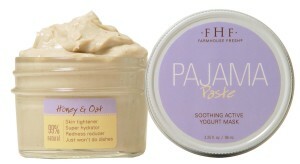 Plus this is a vegan formula that is paraben free!